Do you want to control gout with herbal medicines? Then, GoutPal Herbal Gout Control Plan is for you. Because it is a 7-step plan to control gout with organic remedies. Specifically, it helps you use herbal preparations to make your uric acid safe. I wrote Herbal Gout Control for gout sufferers who want to use herbal medicines for their gout recovery. This is part of a series of plans for all gout sufferers. 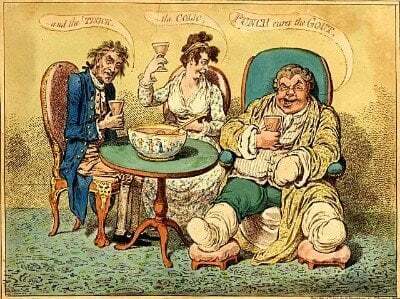 So, if you are not sure which type of gout sufferer you are, start with Questions for Gout Sufferers. Then, use this GoutPal plan to control uric acid with herbal preparations. Here is my step-by-step plan for Gout Herbalists. Ideally, you should read through each step carefully. But, if you are anxious to start now, see how to get your own personal Gout Herbalist plan, below. Do you need remedies that increase uric acid excretion, decrease production, or a combination of both? Are effective doses of herbal gout medicines safe? What do you want to achieve? Make this as personal as you can. It might be to reduce uric acid with herbs. But, personal goals are more effective. So, you might aim for completing a favorite walk or enjoying work without days off. Be as personal as you can, when setting your goals. That way, you are much more motivated. If you want to start a Gout Herbalist plan now, tell me your personal gout goals in the forum. 2. Gout Herbalist Plan Objectives. Herbal preparations that encourage uric acid excretion. Herbal preparations that restrict uric acid production. You might also consider herbal preparations that help with inflammation and pain. 3. Your Gout Herbalist Undertakings. Your first undertaking, is to set your target uric acid level. Also, you might set target dates for achieving each uric acid reduction. Secondly, undertake to use whichever uric acid lowering herbs are right for you. If your objective is gout pain control, you have a third undertaking. Specifically, you need to learn the rules for gout pain relief. Then, we can work together to find herbal pain relief that suits you. 4. Tests for Gout Herbalists. Many Gout Herbalists should have a Personal Gout Diary, from their Gout Recce Group. So, you can continue using that for gout herbalist progress. Scheduling tests and recording results are vital for successful Gout Herbalists plans. 5. Personal Gout Herbalist Plans. Plans are specific therapies for your herbal gout remedies. Essentially, we decide the best combination of herbal gout preparations for you. Then, you find out what the safe maximum doses are. 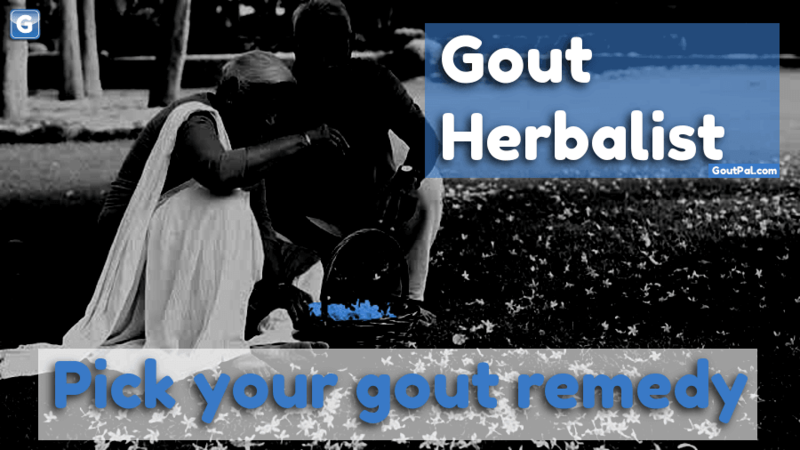 Together, we create your personal gout herbal remedy plan. We assess symptoms, and blood test results. By comparing them to your targets, and accepted safe measures, we assess your progress. If progress is too slow, we might return to Objectives or Undertakings. If you cannot find suitable herbal gout medicines, you might change to a different group. Finally, your uric acid stays safe. And, you stop getting gout flares. Now, it’s time to enjoy the rest of your life. Please consider helping other gout sufferers in the gout forum. Use your experience to encourage struggling gout sufferers get effective herbal preparations for gout. If you like to remain anonymous, print this page, Then, discuss with your doctor, professional herbalist, or other Gout Mentor. There are many examples of personal help in current Gout Herbalist forum. Remember, these are specific to individual gout sufferers. So, suggested therapies might need to be adjusted for your situation. If you want personal help with your Gout Herbalist plan, just ask in the gout forum. Because you can ask about any aspect of your gout, at any time. Also, I can mentor you through every step of your Herbal Gout Control Plan. Do you have suggestions for improving Herbal Gout Control? Then, please add your idea to GoutPal’s Suggestion Box. Or, send the Feedback Form, below.